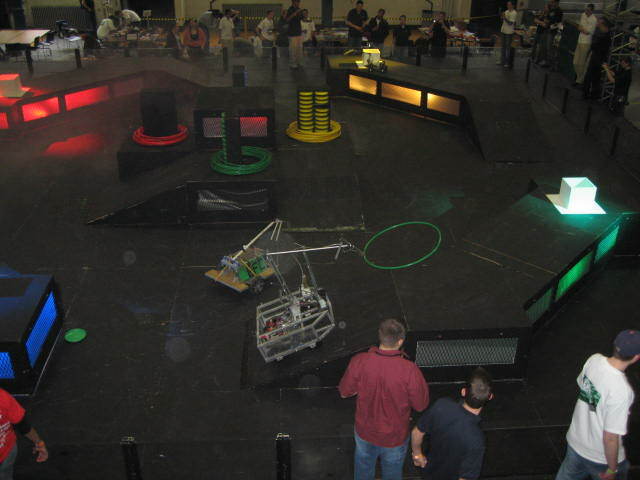 In the Jerry Sanders robot competition at the University of Illinois, teams from universities around the world build robots and bring them to Champaign/Urbana to compete on an obstacle course. 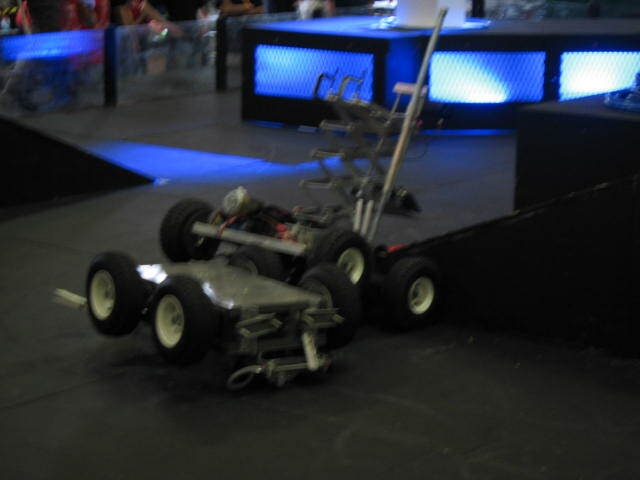 It's like a less violent version of Robot Wars. Great fun! 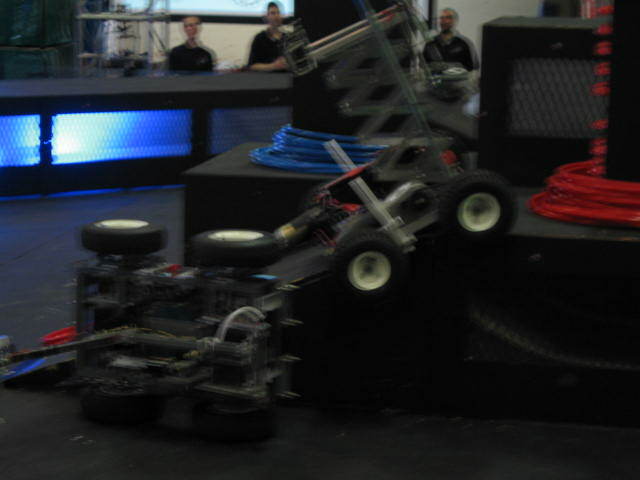 This year, the robots had to climb ramps, pick up hoola hoops & frisbees, and carry them to goals for points. 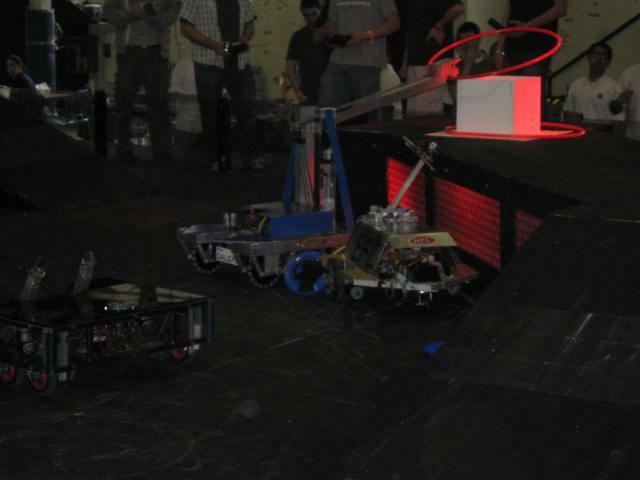 This event is part of U of I's Engineering Open House. 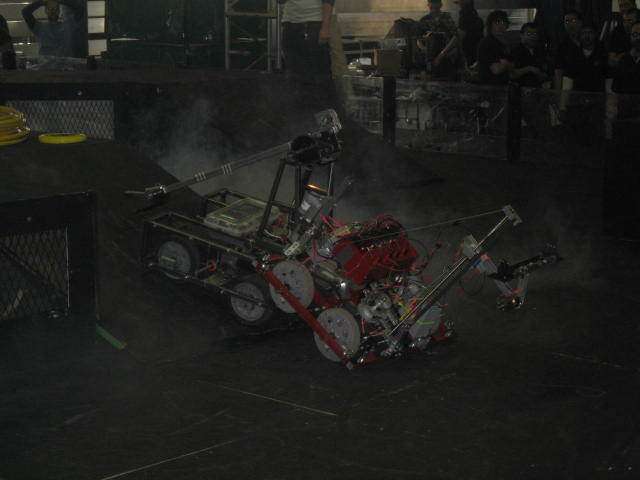 To see more pics of the 2007 competition, go here and click on "Multimedia". This one's about Ash from the movie "Alien". ACID, get it?! The alien has acid for blood, and the musical style is called Acid! Heh heh. Well, I thought it was amusing. About Robbie from "Forbidden Planet". 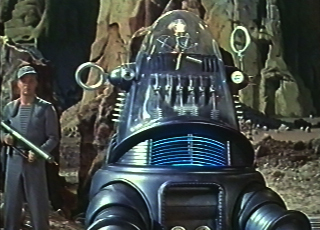 This one's about Gort from "The Day The Earth Stood Still". My Techno tune does variations on the Gort theme from Bernard Herrman's EXCELLENT score. For future Engineering Open Houses, I plan to add a couple more, like maybe one about "Terminator" and one about Nomad from the Star Trek episode "The Changeling".